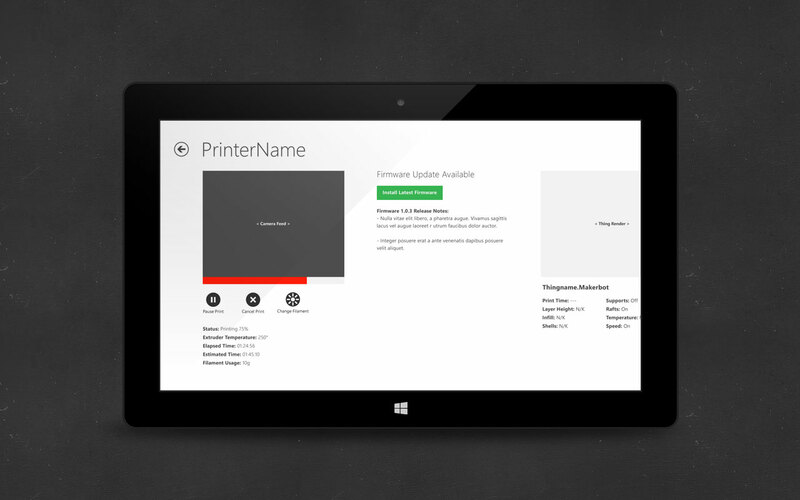 In late 2014 we worked with Microsoft to bring a unique companion app to Windows 8.1. 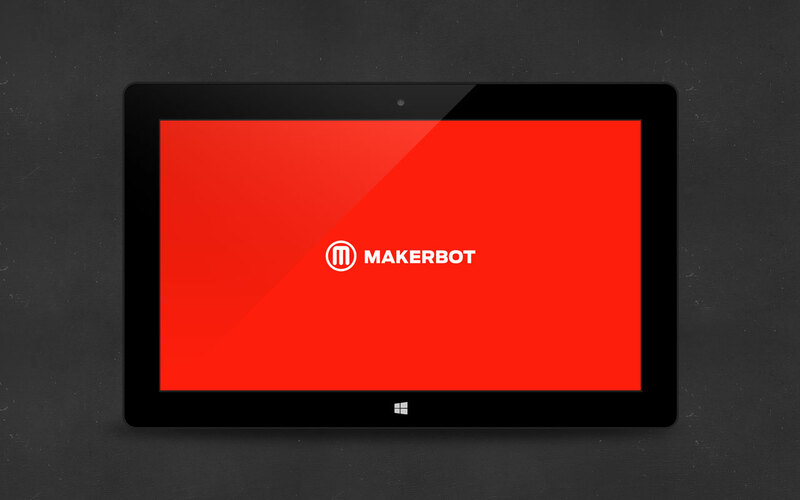 There is a driver provided from Microsoft for MakerBot 3D Printers inside Windows 8.1. 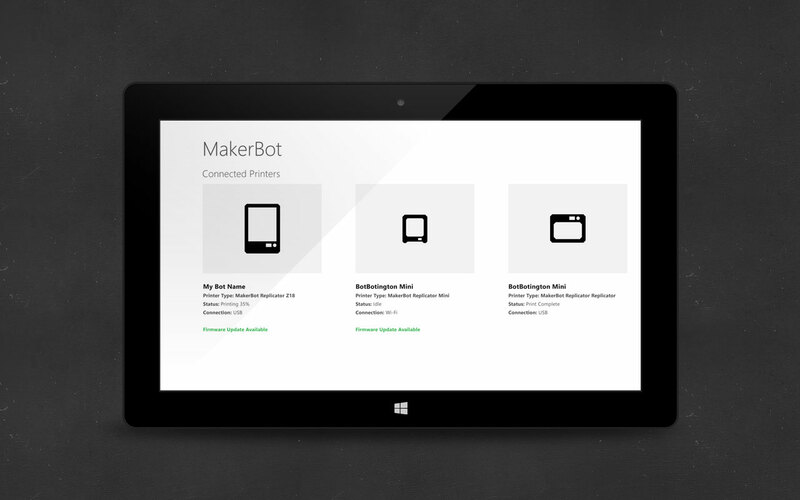 When users install that, this companion app will also install, giving complete control over the machine without the need to install MakerBot Desktop. This was a huge request for professionals, and it’s great to provide them with this update. Originally the app was designed to be a Microsoft Modern App, but the initial release will not be due to technical limitations. I’ve included the designs for the Modern version, which isn’t too far off from the final release in terms of design and function.